1. It is September 1, 2011. What? Let’s take a quick step back. August was my highest mileage month in a year! A year ago I got my stress fracture. I didn’t run for months, I slowing came back, I couldn’t find my motivation, but in August it finally all came together. Little by little over the last few months it has been coming together, but finally my normal run pace is dropping (yay!) and I am logging all my miles. I am excited for my fall races and am looking to have fun while running a few PRs. 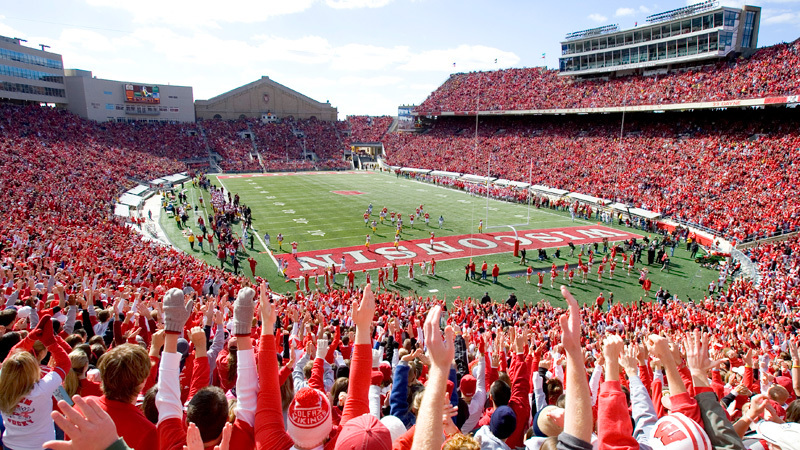 That’s right, my beloved University of Wisconsin Badgers open the 2011 NCAA Football Season tonight, under the lights at Camp Randall, one of the best places in Madison. I have been waiting for this since the devastating failed 2-point conversion on New Year’s Day. Let’s go Badgers. You have the whole country watching. I have never been to Oregon before. I have been to Washington State lots of times. We have family there and I used to travel there for work. Now my best friend/college roommate lives outside Portland. We will go wine tasting, watch some football, catch up on life and I will run a half marathon on Sunday. It’s going to be another crazy weekend, but so much fun!